The world is moving pretty fast these days, which could be one reason for the appeal of lovingly-crafted handmade goods that take longer to make than one of grandad’s stories about the Great Depression. 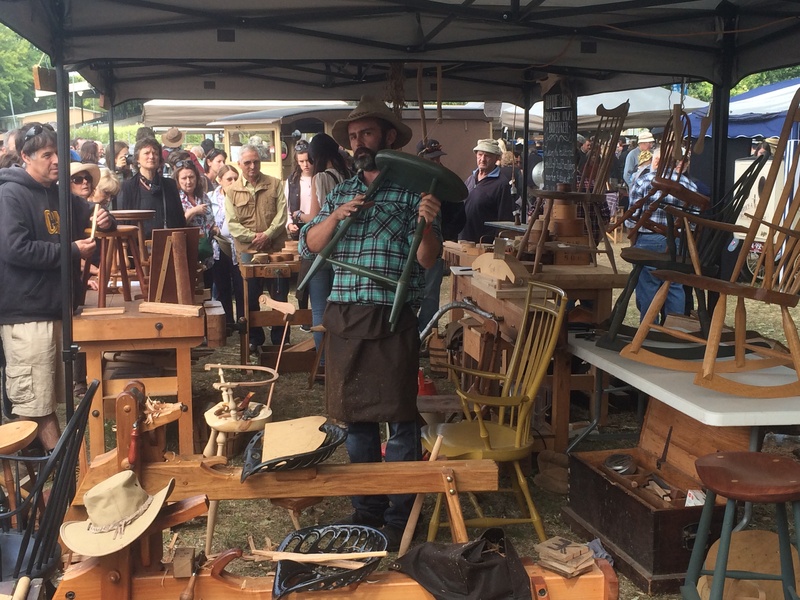 The Lost Trades Fair in Kyneton is an initiative of local chairmakers Rundell & Rundell, and the hordes that trekked from Melbourne and the surrounding district show that a surprisingly large number of people seem to have an appreciation for this kind of olde worlde craftsmanship. belonged more to the fans than the artisans themselves. The theme linking most of these artisans together is their passion for a craft that has long since dropped out of the mainstream. It sure ain’t easy these days to find a TAFE course for arrow fletching, harp making, calligraphy, woven fence building or kayak crafting. 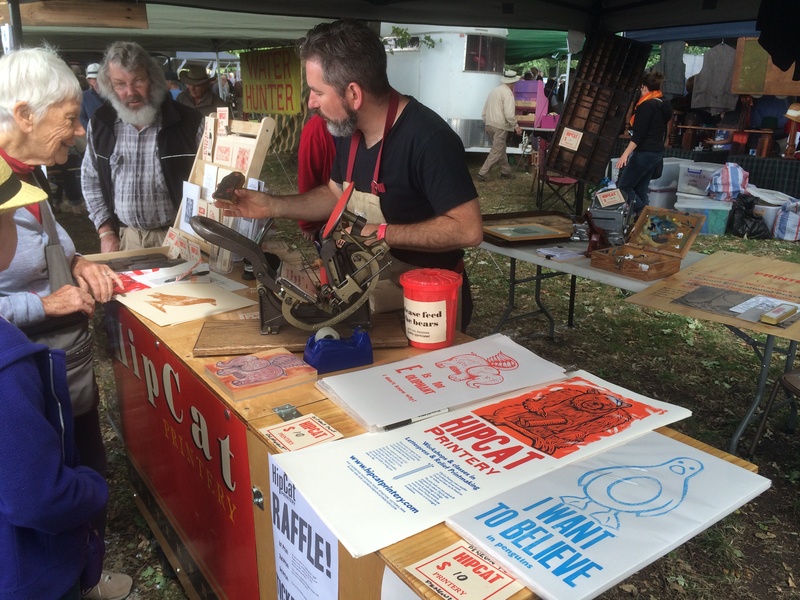 But of course it’s this very rarity value that prompted thousands of people to trek up to Kyneton over the weekend. Individually they may seem like outsiders or misfits; presented together like this they are a highly inspiring collection of passionate craftspeople. 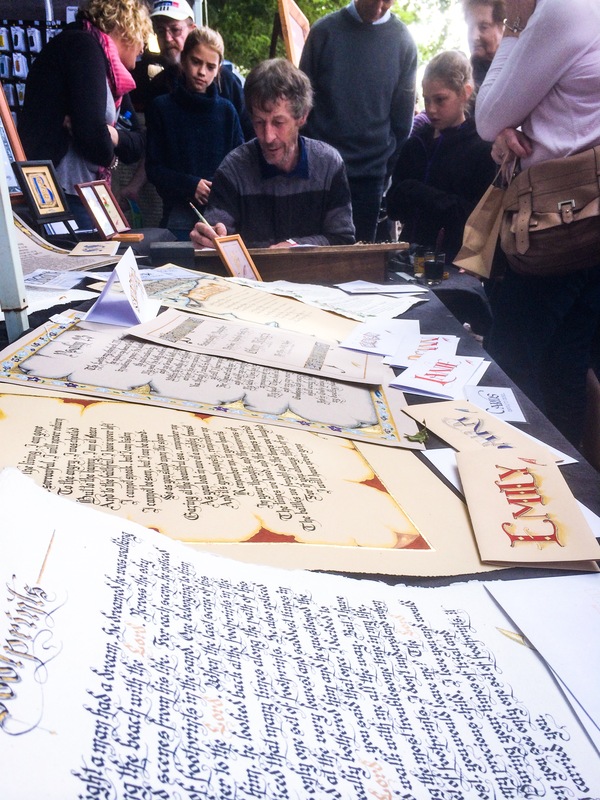 Possibly the quintessential lost trade at the fair was Dan Bolwell, or Penny Farthing Dan, from Horsham (pic top right). Anyone who has lived in the Melbourne suburb of Brunswick knows there is at least one penny farthing enthusiast/eccentric in residence who enjoys a better view at the lights than the average cyclist. 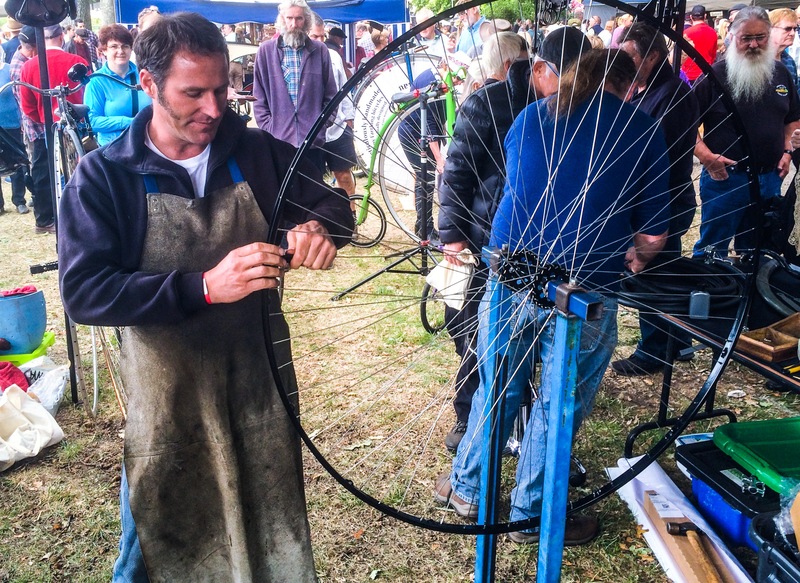 I was surprised to find though that Dan has turned penny farthing making into a full-time career, making around 20 of the super-sized ye olde bicycles each year for nostalgic types across the country. “I’ve had interest from overseas as well, but where the Australian dollar is at doesn’t really make it conducive to overseas orders. “Plus, some countries have import restrictions which makes it difficult. I’ve been talking to a guy in Vietnam who is going to come out and have a try before he buys,” Dan says. According to Dan, the big wheel at the front makes penny farthings go faster. “Once I found that out I was away. This is a hoon’s machine,” he said. I’ve had a few accidents and I’ve got the scars to prove it. But I was always doing something stupid. One time I was doing a slalom and I was just going way too fast. The spoon maker was also fascinating to watch, as he fashioned wooden spoons using an old-fashioned wooden lathe that he drove using his foot. 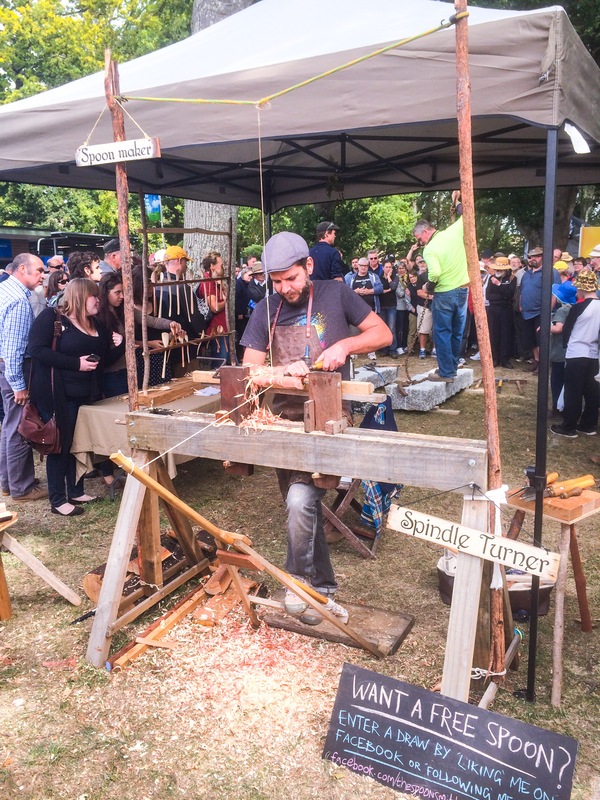 There were Moldacot pocket sewing machines from the 1800s at the Sew What stand, stonemasonry demonstrations, hand-woven fence makers at work and a scythe-maker, Bladerunners, with their wares on display. It was all pretty fascinating. 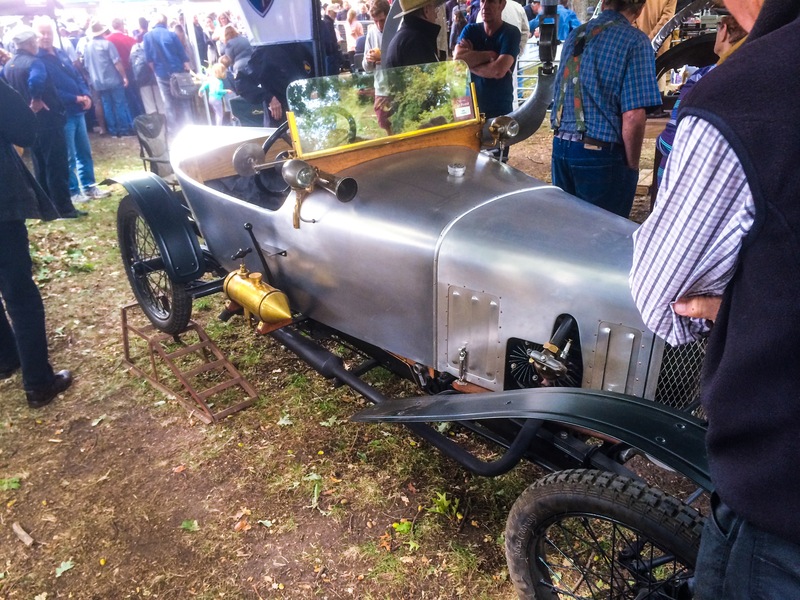 I had no idea I wanted a hand-crafted one-man 1930s silver roadster until I saw one at the fair. I’m not sure how many of those attending would be prepared to fork out $700 for a handmade brass bell or $30-40 for a hand-turned wooden spoon, but it does show there’s a lot of interest in handmade things at the moment. In a world where many people are desperately looking for a bit of a niche to call their own, these craftspeople have gone the extra mile, and found a bit of rare air in the process. And while I don’t want a penny farthing, I’m very glad someone out there is still making them. For the curious, basic models start at $3500.